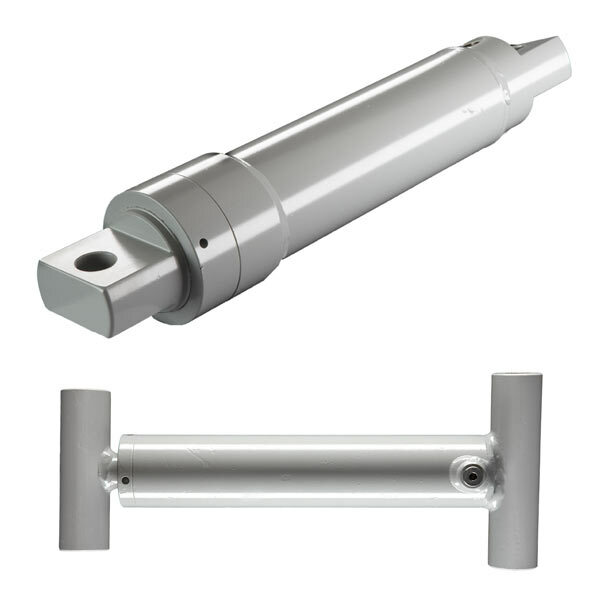 Single acting cylinders are the perfect choice for applications where gravity, weight or some other assist force is available to move the cylinder in one direction. Single acting cylinders are often less costly than double acting cylinders. Single acting hydraulic cylinders mount in any position, and are ideal for a broad range of industrial and mobile applications. Single Acting cylinders come in two basic varieties: single acting piston cylinders and single acting ram cylinders. Single acting piston cylinders most commonly use fluid power to generate force in one direction, while gravity and the weight of the load being pushed or pulled creates movement in the opposing direction. Hydraulic pressure pushes against a sealed piston in one direction. Single acting piston cylinders can also incorporate a spring to facilitate movement in one direction. Hydraulic force moves the cylinder in one direction, which compresses the spring; the spring, rather than gravity, then creates the pushback. Once the pressure is stopped, the spring returns the cylinder to its resting position.